Over the weekend I went to little-bit smaller city, ND to do some major thrifting with my girlfriends. It was awesome! 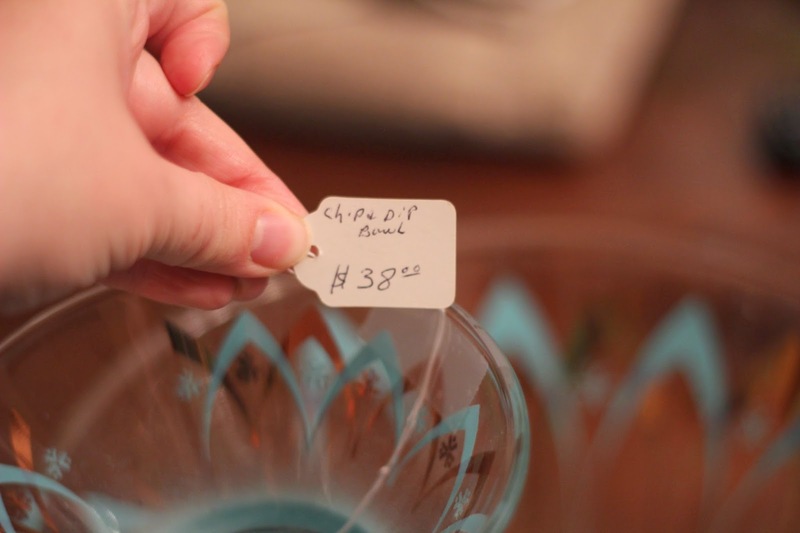 We went to an antique store and I found this vintage chip/dip bowl. I LOVED IT! The price tag was $38.00 and I debated. 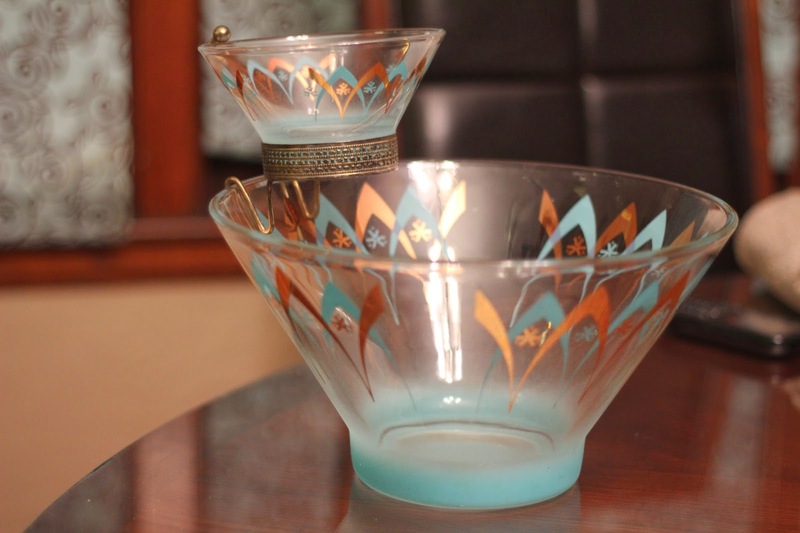 But then, the antique store owner announced the deal of day. Spend $25.00 and get 50% off the total. That...I could not pass up! I LOVE IT! IT IS AMAZING! 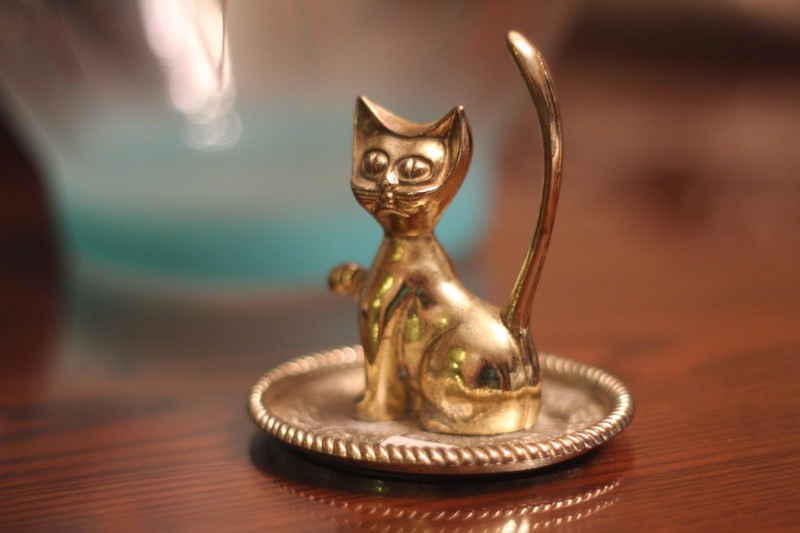 I also picked up this cute little kitty ring holder for $2.00 (50% off $4.00). 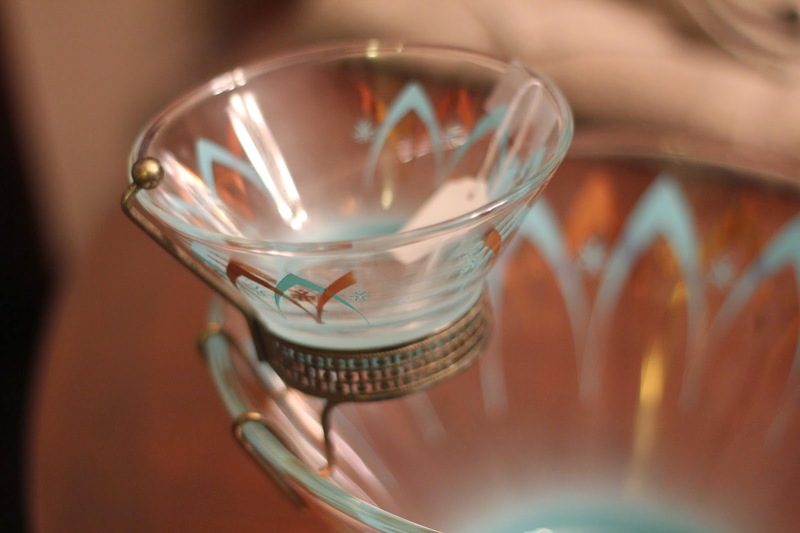 Have you hit any good thrift stores lately? It is officially spring-like weather in ND, which means garage sale season. I may have to start hitting the sales this weekend. Thank you so much Deline. I thought so too. It sounds like you have some amazing finds! Thrifting is the BEST! Thank you for reading WOM-MOM! Mandi: I totally agree. The price tag had me completely sold. Thank you for reading and following WOM-MOM!